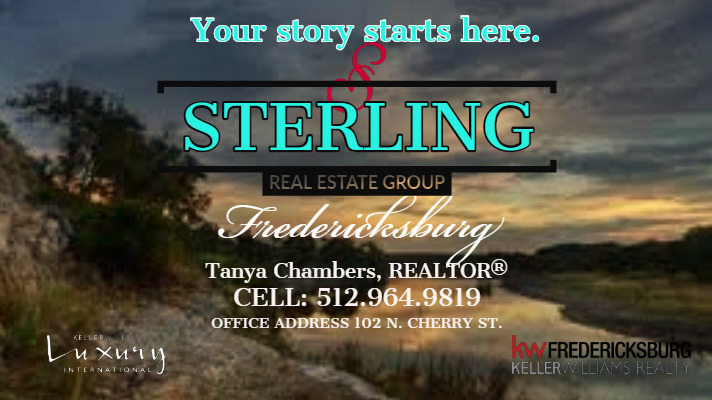 Sterling is a unique Boutique Real Estate Company located in Fredericksburg Texas. Sterling is a unique Boutique Real Estate Company located in Fredericksburg Texas. This small town is a unique destination spot that all of Texas loves to visit, but it is home to us. We are raising our families here and working to keep Fredericksburg a unique destination that everyone loves for years to come. We give back based on our sales annually to local businesses and always support our local schools and athletes. Being unique is very special, as special as our town and our clients. Welcome to Fredericksburg! Our motto: Faith, Family, Fredericksburg!